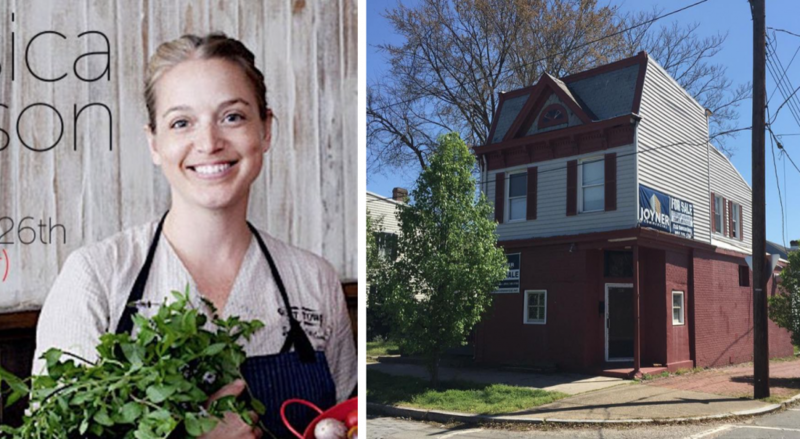 The building that will house Chef Jessica Wilson’s upcoming restaurant on Chimborazo Boulevard is in the process of being restored/adapted at Marshall and Chimborazo with the intent to open GRACE, a neighborhood garden-to-table restaurant with an emphasis on fresh, sustainable, local, and affordable. The greenspace of the double lot will be a seasonal garden, providing for the restaurant and a morning community market. Recently, Chef Wilson posted an exciting new look at the space inside. Be sure to follow on Instagram! Can’t wait! Looking forward to a nice market in Chimborazo. Perfect timing for Grace! Thank you Jessica for restoring this treasure and contributing to the renaissance of historic Churchill at Chimborazo Park. I can’t wait to sit in the gardens for dinner this summer when you open! That end of Marshall has great potential to be such a good mini downtown for that whole end of the hill. I’m looking forward to seeing it.